Case brings a systemic approach to the supply side of the compressed air utility managing multiple compressors of differing types to the greatest possible efficiency. While some try to do this by simply communicating to the OEM microprocessor local controllers, we contend it is vital to have a master control scheme that is dovetailed tightly with the local controller. This is particularly true of centrifugals. 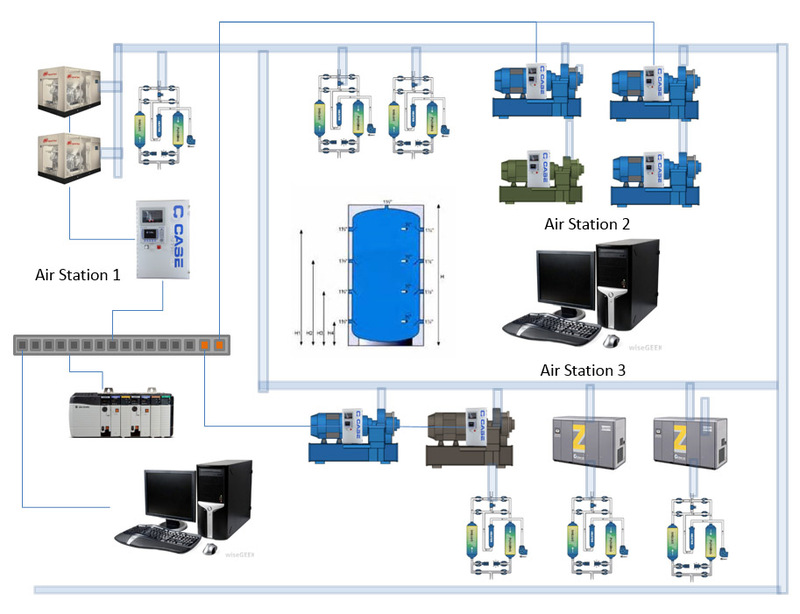 A true Load Sharing solution like AirMaster will not only make start-stop, load-unload decisions but it will be integrated with the local controller to the degree that decisions can be made not to use a bypass valve but rather the available turndown of other compressors on the network. The result is multiple compressors that work together like one virtual machine to respond to demand changes without using wasteful Blow Off.